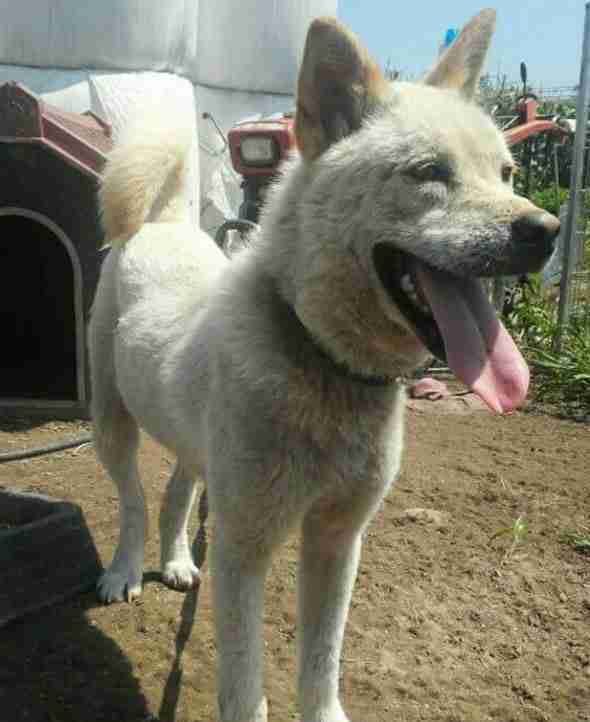 "Dogs like him who are wandering around, who have been let out or escaped are on borrowed time." Saebom knows all about the mean streets. 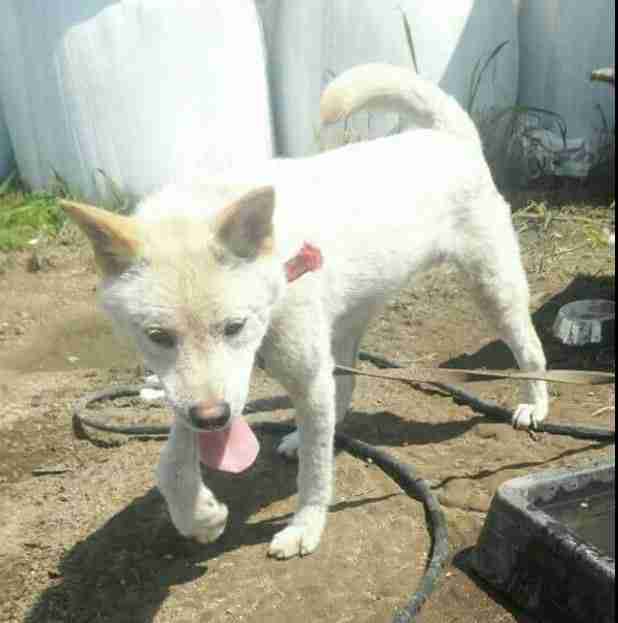 In South Korea, stray dogs don't usually last long on them, especially when belong to a breed called Jindo - a favorite target to be rounded up and taken to a dog meat farm. 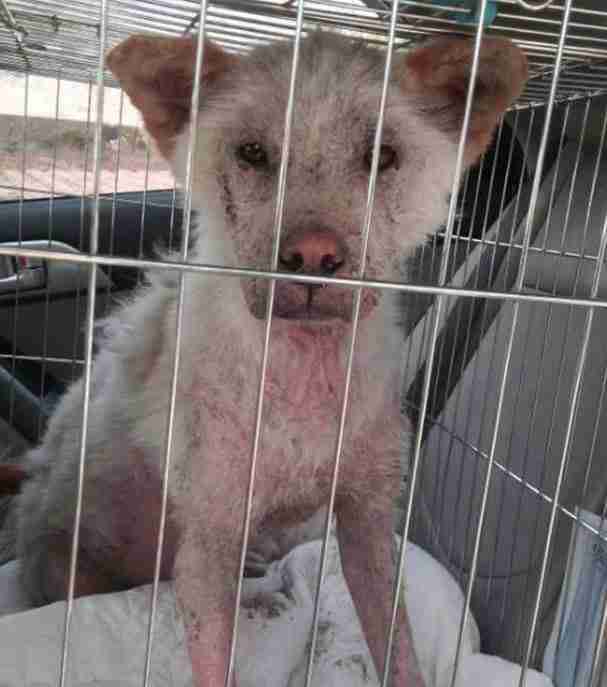 "A dog like Saebom, because he was wandering the streets, he would absolutely get picked up," says Gary Sweeney of Guardians International - a chapter of Guardians of Rescue dedicated to fighting the industry. "Dogs like him who are wandering around, who have been let out or escaped, are on borrowed time," he tells The Dodo. "It only takes the wrong person to see them on the street." But Saebom found kindness on those streets. 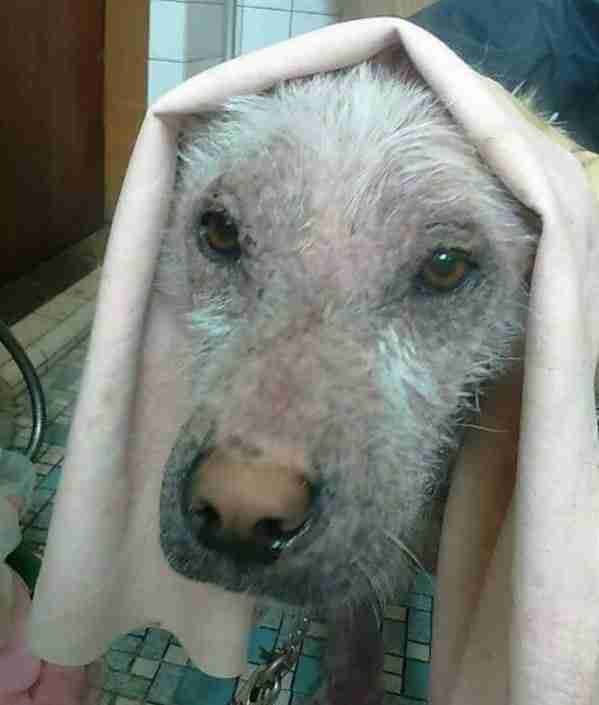 He was picked up and taken to a nearby shelter, where vets tried to treat his severe mange. The trouble is, his condition had been left for so long - and resulted in such agony - staff recommended he be put down immediately. 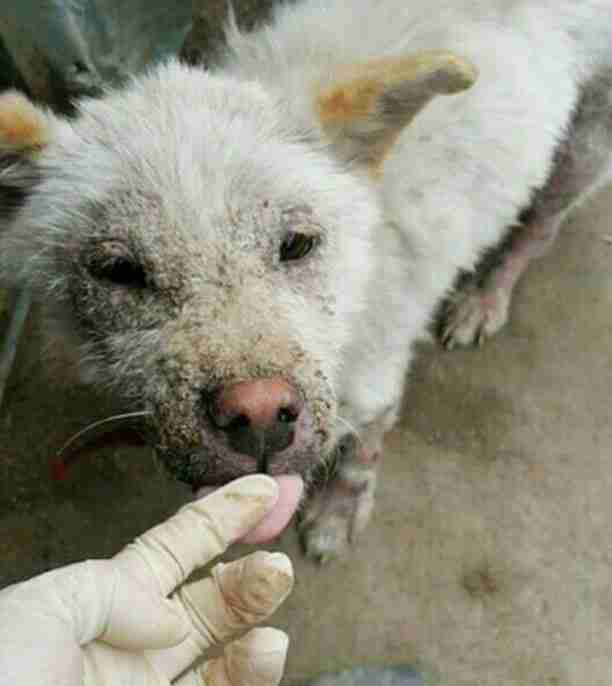 Saebom's will to live, however, caught the eye of a local animal rescuer named Seonae Du, who began to care for him. 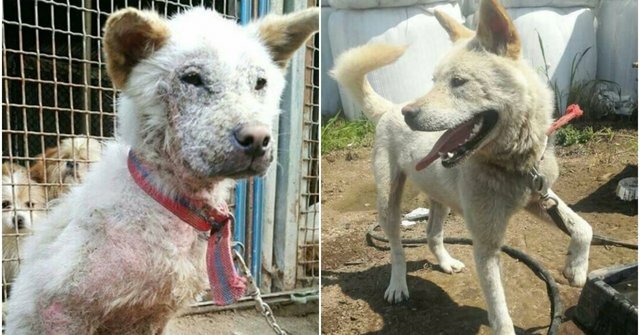 It turned out, Saebom's lust for life defied even medical opinion, as - gradually, over the next few months - the dog began to regain his strength. Along with a healthy coat of fur. Now, Saebom is looking to get on another kind of road - one that leads to a family in the U.S. or Canada. Sweeney doesn't think any dog is safe in a country that still clings to its dubious tradition. 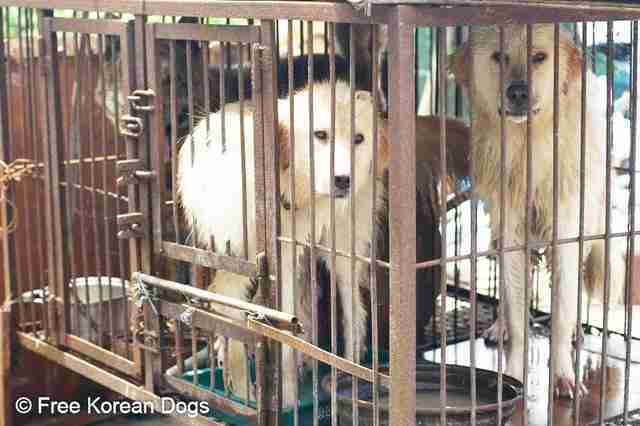 More than 2 million dogs are killed every year in South Korea to feed a market that consumes around 100,000 tons of dog meat every year, according to the Animal Welfare Institute. The times are changing, Sweeney notes, thanks in part to increased pressure from the international community, as well as fresh attitudes inside the country. "The majority of people in the dog trade are the older generation who saw their grandparents do it," he explains. "The younger generation is starting to come around and think it is the wrong thing to do." 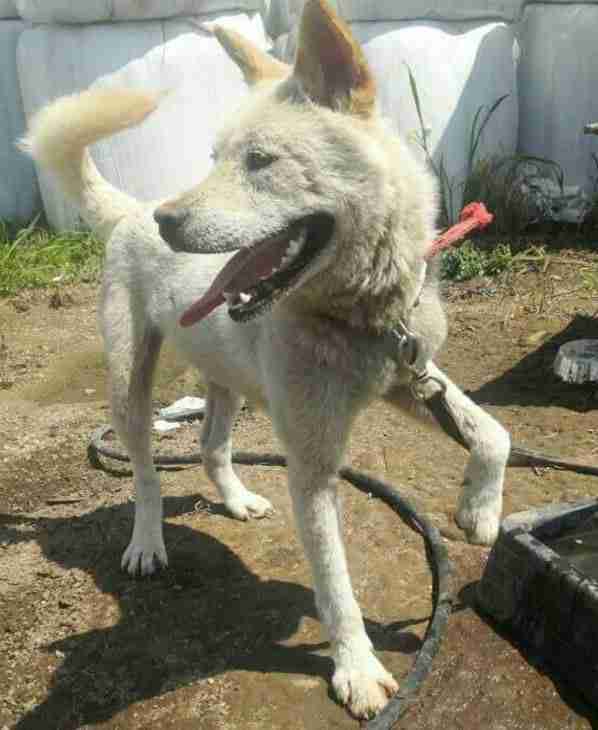 Thankfully Saebom never had to know the horrors of a dog meat farm. But he's still looking for one final mercy. He needs someone on this side of the world to be there for him. Once Guardians International gets that assurance, the group will start raising funds for Saebom's long journey. "We would like to get a rescue to step up and say, we're willing to take him in," Sweeney notes. "The dog will have medical records, vaccination and be neutered - everything that makes him legal to fly." Know anyone who could fit the bill? Get in touch with Sweeney directly through Facebook. 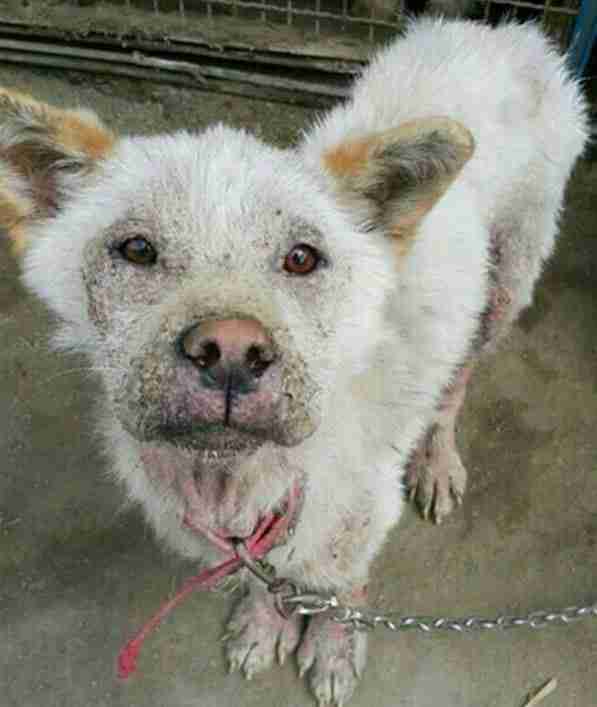 And consider making a donation to Guardians International as it fights to end the dog meat industry in South Korea.